Note: this is a re-post from the MIND Research Institute blog. 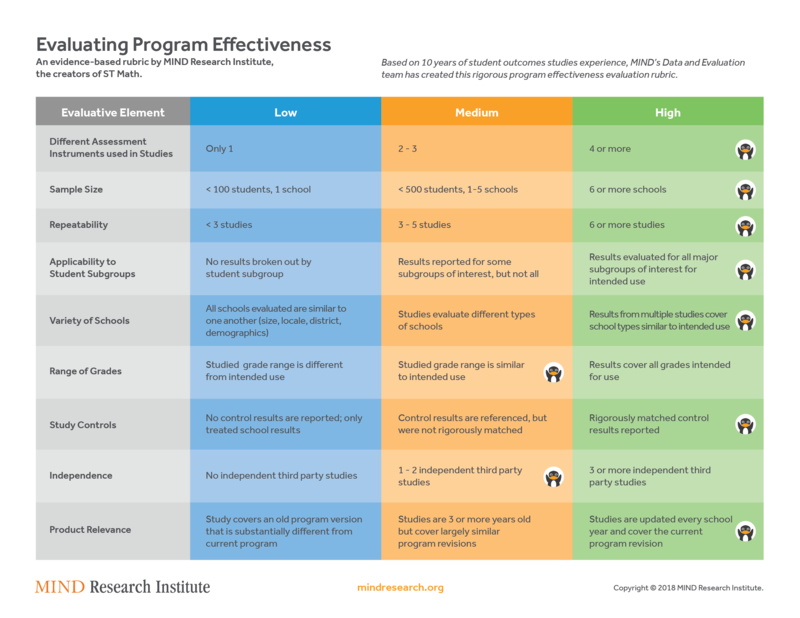 Patterns and repeatability from multiple field studies are more valid than single gold standard experiments when it comes to gauging what to expect from program impact. You probably wouldn’t be surprised to hear that every education technology (edtech) publisher says their product works, and they all have some sort of supporting evidence. But oftentimes that evidence—if it’s fully experimental—is very scarce. In many cases, it’s just one study. Yet just that one piece of “gold standard” evidence is often considered good enough by educators when making a purchasing decision. Extrapolating one study’s results to your situation is not fully valid unless the study was performed on a district like yours, on the grade band you’re planning on using, with a student subgroup mix like yours, with usage like you plan to adopt, on your most recent assessment, and with the program revision you’ll be using.